Hey all! Darian here... It's March and you know what that means... it's time for our Vendor Highlight of the Month!! This is #3 for the year and I personally think you all are going to LOVE this one. I won't give too much away but her story is incredible. From her childhood to the details of her work. You are bound to leave feeling so inspired and filled with so many ideas for your wedding day and or upcoming event... becasue she does it all! Without further ado, meet Nikki Hess with Lavender and Sea Calligraphy! My name is Nikki and I love being artsy and creative! From the time I was a very small child, I always loved art and creating things. I really owe a lot of it to my parents, who never shut down my creativity, but allowed me to flourish. As an 11 year old, my parents let me plan out and paint an entire zoo mural on my wall. At the time (being an 11 year old) I never realized how amazing it actually was that my parents allowed me to do this. My creative passions have jumped around since I was 11, from bubble lettering in Jr.High (does anyone remember that?! ), to acrylic painting, to knitting and finally landing me here, with calligraphy. My dream has always been to own my business, and once I found calligraphy there was this "A HA!" moment where I realized this was it. I am so thankful to all the people who hire me and admire my work, it really inspires me to continue on this journey. 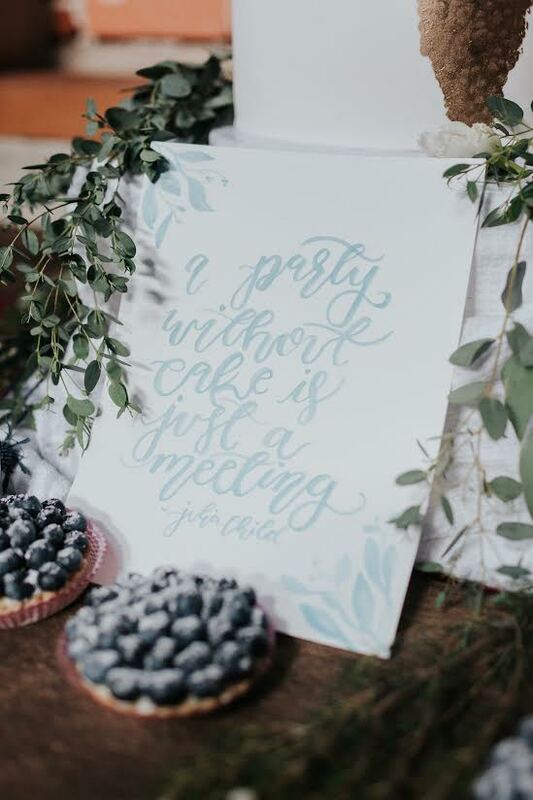 Lavender and Sea is a boutique calligraphy studio. It is run solely by me (Nikki) and I care so much about my clients and their big days! I love collaborating with brides/couples to bring their wedding day visions to life. However, weddings aren't the only calligraphed items I create! 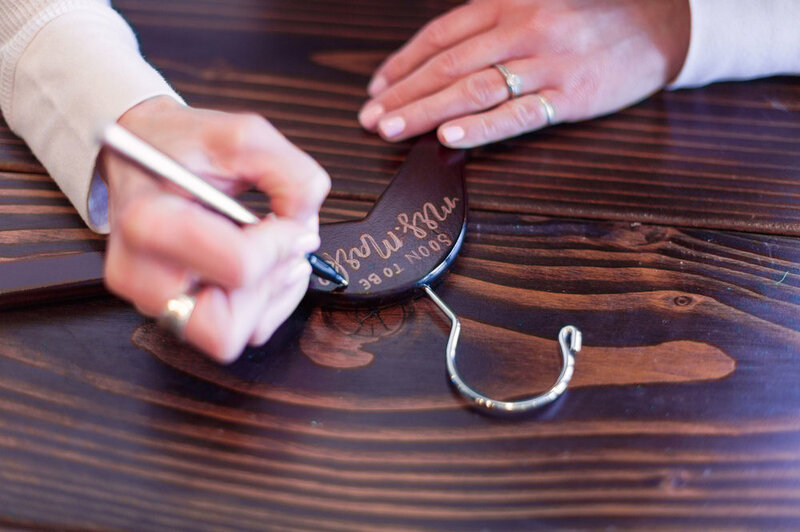 I create anniversary gifts, holiday gifts and home decor items - people can special order from me just about anything they'd like that involves calligraphy. The ability to express your creativity with lots of freedom. Although I understand that brides often have a very specific vision of what their big day will look like, I often find that brides are very open to my opinion and welcome my creative input. Not to mention, weddings are some of the most spectacular events on earth, who wouldn't love being a part of that?! To offer invitation suites! It's been a goal of mine for quite some time. I'm old school in terms of my art. I use tangible items to create my work, BUT in this day and age you must be able to digitally render your work. I'm currently taking a course to make this happen. My clients probably don't know this but I think about their projects A LOT. For example, sometimes I'll go on a hike and the entire hike I'm just brainstorming ways to make their project a little bit better. I'm obsessed with my work. Also, if I'm having a mental road block creatively, I go outside, soak up some rays and then come back to. It's all part of the creative process. This is the nerdy calligrapher in me, but writing on cigars for a styled shoot was kind of my highlight. Don't get me wrong, it was extremely challenging, but the result was pretty cool. The people! I have gotten to work with and meet so many wonderful people. Plus, weddings are usually such a happy time in people's lives and the energy around them is incredible. Well, I've recently done about 4 styled shoots and we are waiting for them all to be published. I can't say where just yet but I'm hoping for one particularly popular bridal magazine! My brides can expect excellent customer service and heart felt, dedicated work. In terms of packaging I am very flexible. I know there are some calligraphers who have a minimum budget they require from each bride but I don't do that. Since it's my own business I am able to do small projects, as well as large projects. I work with each bride individually to determine what is needed for them on their wedding day, as well as what their budget will allow. I love my work and what I do, and I believe that really shines through to my clients.